African art and masks of the Fang. 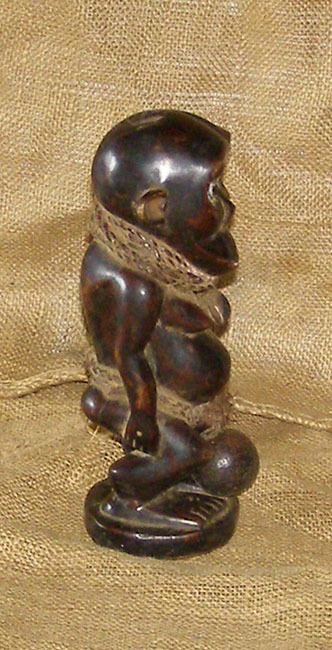 This protection fetish from the Fang people of Cameroon, Equatorial Guinea and Gabon measures 9 inches tall. This fetish is an antique and is believed to be over 60 years old.